On Monday, May 9, 2016, we celebrated our first wedding anniversary. We both had to work that day, but we wanted to do something to make the day special. So, I decided to kill two birds with one stone. 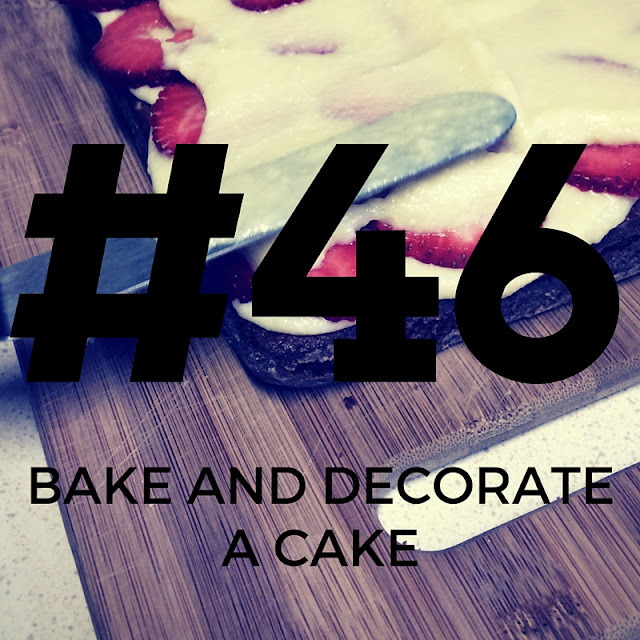 Do something special and check #46 off of my 101 Things List: bake and decorate a cake. The cake? A recreation of the groom's cake Matt had at our reception. Mmmmmm. Wasn't it beautiful? Matt's cousin Kate, a baker and entrepreneur, is seriously talented. This was a rich, thick pound cake with homemade vanilla custard and layers of sliced strawberries. 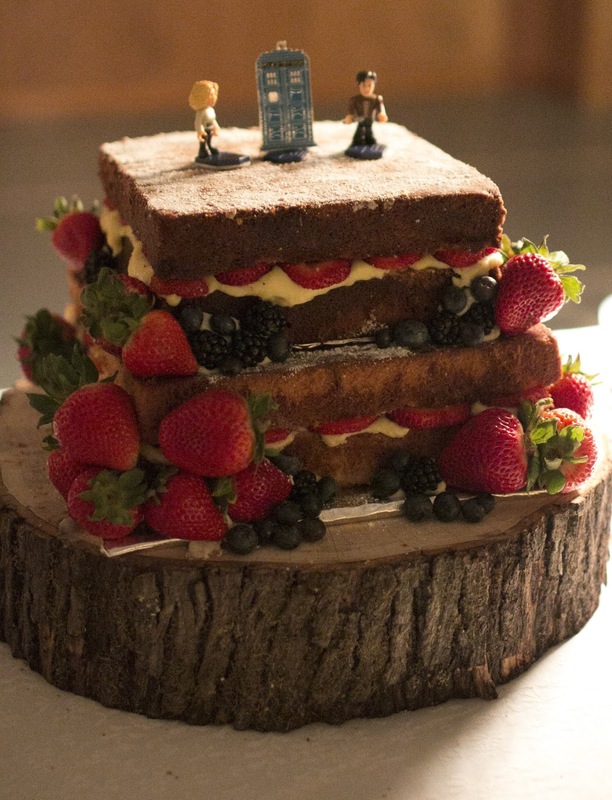 We both liked it better than the actual wedding cake, and I thought it'd be fun (and special) to recreate it for our first anniversary, especially since eating leftover cake on this day is a tradition we couldn't take part in (because we ate the leftovers on the honeymoon...). So, on May 8, one day before the big day, I got busy. I made a pound cake completely from scratch. And when Matt came home from work, he helped me make a vanilla custard (which is kinda tricky). We put the custard in the fridge to cool overnight and tried not to eat any pound cake. After work the next day, May 9, our actual anniversary, we worked together to assemble it all. I think we did pretty great. It wasn't as pretty as the one Kate made for our reception, but it was a good attempt, and it actually tasted pretty darn close! So that night, we cuddled up on the sofa, turned on The Search for General Tso on Netflix, and ordered General Tso's chicken and steamed rice from China Palace. Then we shared our special creation for dessert. We ate our cake leftovers on the honeymoon too! So much better than eating it all freezer burned a year later. Your remake looks yummy. :) Happy anniversary! !